ASA Cabinets is pleased to offer our customers across the Tri-county Michigan area with a variety of lines from top-quality cabinet manufacturers. One of the highly regarded manufacturers we carry is Schrock Cabinetry. Schrock Cabinetry began as a partnership between two Amish brothers who wanted to create higher quality products for homeowners. Their culture’s heritage of craftmanship combined with a highly selective material acquisition process to create a reputation for excellent cabinetry. Now over 50 years since its inception, Schrock Cabinetry continues to offer some of the finest cabinets available on the market. 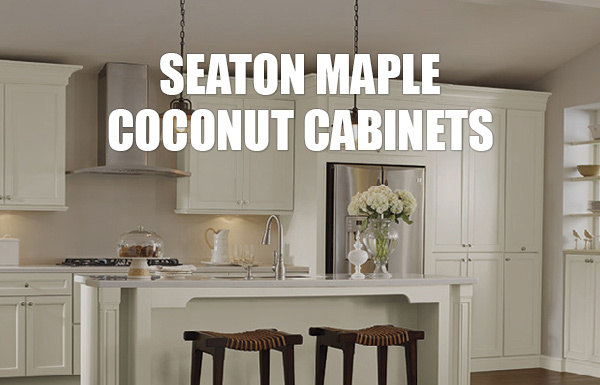 The maple wood used to create Schrock’s line of Seaton Maple Coconut Cabinets is incredibly durable and light weight. Your family can rely on these cabinets to both look great and function well for years to come. The versatility of maple makes it the perfect type of wood for this application. Schrock’s Seaton door features a transitional style that falls in the sweet spot between modern and contemporary design. In the center of the door sits a recessed panel lined with 2 ½ inch rails. A beaded trim between the center panel and its rails makes for a refined look that guests will adore. Coconut colored cabinets are stunning in pictures and in person. The off-white color of coconut combines nicely with many wall colors and countertops. You will also find coconut to look cleaner for longer. Stop by ASA Cabinets showroom to learn about Schrock and our other top quality cabinet manufacturers. Our experienced interior designers can help you choose cabinets that will fit best with your style, room and budget. It is important to consider both how cabinets will look and function in your kitchen. Revamping your cabinetry is a great opportunity to create a visually stunning space to enjoy for many years. What makes for a functional cabinet system? Space is the number one concern for many shoppers. Your selected cabinets will need to make the most of your hanging wall space to afford room for all your cooking and serving pieces. Contemporary brands offer dynamic opening latches to allow for maximum use of space. Cabinetry can further maximum their functionality by reaching difficult corners with a Lazy Susan or a toe kick drawer. Replacing the preexisting cabinets in your home is a great chance to express yourself. There is a wide variety of wood species and material options to choose. ASA Cabinets offer top choices from popular, high quality brands including Schrock, Homecrest, Timberlake, and Smart. New technology has enabled cabinet makers to create even sleeker edges between materials, which is good news if you enjoy a mix of wood, metal, and glass in your décor. Advanced hinges and latches offer quiet access to cabinets with soft-close cabinet door dampening. If you are interested in installing elegant cabinets in your kitchen, schedule an appointment with one of ASA Cabinets interior designers. Traditional wainscot moulding was first introduced in the 1500’s in England and was used to beautify the interior of upper class homes. Created with interlocking wood pieces, wainscoting allowed homeowners to add personality to once bare stone surfaces, which were unsightly and unwelcoming. Not only were these interior additions beautiful, they were created for a functional purpose to keep homes warm. Wainscoting originally served to insulate homes since stone was such a poor insulator. Later into the 1700’s, wainscoting transitioned from a full wall covering to protecting from the baseboard to mid-wall height. This transition represents a change in construction materials and a need for a layer to protect from dampness. 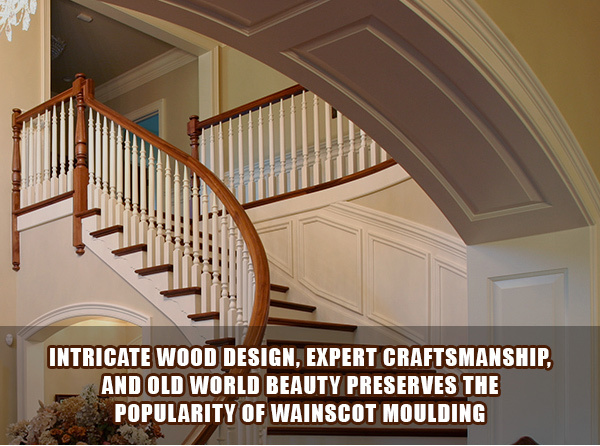 Now in the 21st century, wainscoting is used for decorative purposes since it provides a space for intricate wood design, expert craftsmanship, and beauty. Most homeowners opt to adorn their walls with a variety of simple, white-painted wainscoting. The best way to use wainscoting in your home depends on your taste and eye for detail. As a simple visual decoration to install, wainscoting provides you an opportunity to decorate in the classiest of ways, bringing any room in your home to a royal standard. Wainscoting is perfect for contemporary rooms, too! Dining spaces, home offices, and grand entrances are perfect locations for you to add striking wainscot paneling. As it grows in popularity amongst Michigan homeowners, more individuals are finding ways to include wainscoting in their home. A newer popular use of wainscoting is in application of staircases changing a once plain space to an extravagant focal point. Not only can you wow guests, but you may also increase home value by paying attention to these little details. ASA Builder’s Supply offers the largest selection of wood moulding in Southeast Michigan and also carries composite and rubber variants for non-flat walls. Contact us to learn more. With a recent spike in popularity, employers and employees alike are experiencing the benefits of telecommuting. Whether you are working from home on a daily basis or for just a few days a week, having a dedicated workspace is recommended. In this article we will discuss how to create the perfect workspace with the functional work area and storage to work effectively from home. 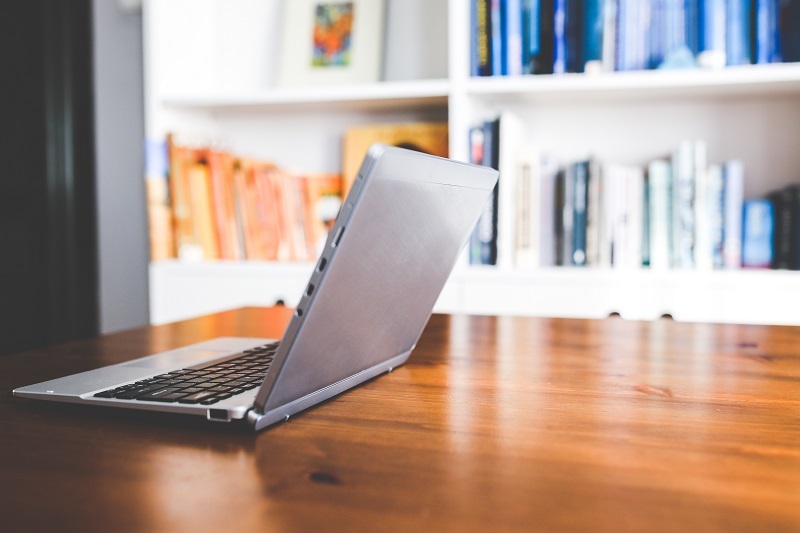 Staying organized can be hard when transitioning to a home office. Many traditional work offices provide employees with the organizational tools needed to keep materials coordinated and tools accessible. One way to organize all of your work materials is to install workspace cabinets for easy access to the things you need. Installing cabinets allows you to reconsolidate work materials at the end of the day, and create hybrid rooms for maximum effectiveness. The most important consideration to make in setting up your home office is its location within your home. One of the biggest mistakes people make in arranging their home office is doing so in a distracting location. High-traffic areas should be avoided if possible. When maximum productivity is your goal in building a home office, it’s important that you arrange your setup in the right location. To do so, you should consider your type of work and your ability to focus. Although outdoor scenery is a wonderful catalyst for creativity, active backgrounds can be incredibly distracting. Facing your desk towards a wall can allow you to focus on your work and get things done efficiently. To learn more about having cabinets or shelving installed in your home office, please call our team at (248) 624-7400 or visit us online today!